I got the last one at my store! Last edited by NowJoJo on Mar 13th, 2019 4:37 am, edited 1 time in total. I knew Natsume was making some abhorrent knockoff quality titles using the old name but yikes this looks bad. For those that dont really pay attention to this sort of stuff, the original developers decided to translate/localize the games without Natsume's help a few years ago and since then Natsume has been putting out these... abominations at a steady pace. The real harvest moon games now go by Story of Seasons but IMO these days Stardew Valley is where its at. Original developer Marvelous AQL is no longer working with Natsume, but Natsume retains the Harvest Moon trademark. The final Harvest Moon branded game done by Marvelous was Harvest Moon 3D A New Beginning for the 3DS. 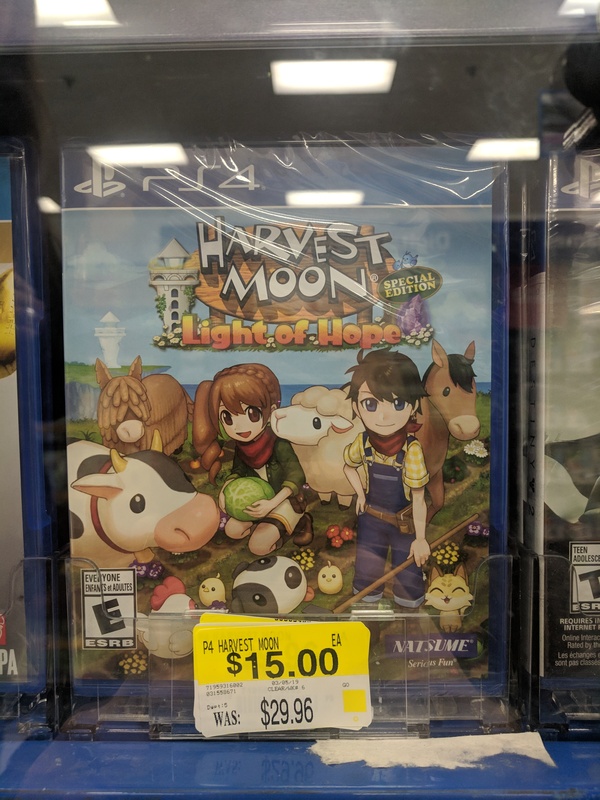 All Harvest Moon titles afterwards were done by random developers, none of which appear to be any good. As noted, Marvelous still does these games but now under the name "Story of Seasons". Thus far they've only done Story of Seasons games for the 3DS. Marvelous also does the Rune Factory games, with the newest title Rune Factory 5 coming for the Switch sometime in 2020. NSW upc for stock tracker is 71959318002 according to the internets.